And we’re back! Kinda like one of those serial killer villains the studios refuse to quit making movies about. (Looking at you, Jason). So what’s on the radar for Halloween in the Year of Our Lord 2018? Read on, gentle costumer. Political themed costumes. The Handmaid’s costume from The Handmaid’s Tale is a good example since it epitomizes the convergence between pop culture (the TV show) and political protests against the policies of the Trump Administration. Halloween classics like The Nightmare Before Christmas and Hocus Pocus are still going strong. Ditto superhero costumes with Wonder Woman and Black Panther taking prominence. Coco, the heartwarming film about a young musician looking for his family in this world and the afterlife, will be generating a lot of costumes especially since it is tied into the Day of the Dead. Day of the Dead celebrations play a big part in the film. With Hotel Transylvania 3 coming out, expect to see character costumes from that film at your front door. Ah, fall! That time when a costumer’s thoughts lightly turn to that best of all costume holidays, Halloween. Although to be accurate, Halloween is never far from our thoughts. What can we expect to crop up from this year’s crop of Halloween costume offerings? Read on, gentle readers. Wonder Woman rides again! The popularity of the superhero characters in general and the well-received Wonder Woman movie this summer will see a spate of both the comic book and movie Wonder Woman characters this Halloween. Superheroes of all kinds will continue in popularity as will zombies and pirates. Minions continue their rise, spurred on by both their general loveability and the upcoming Despicable Me 3 movie. 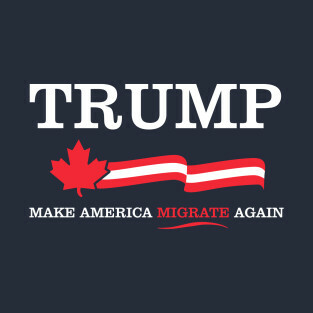 President Trump. 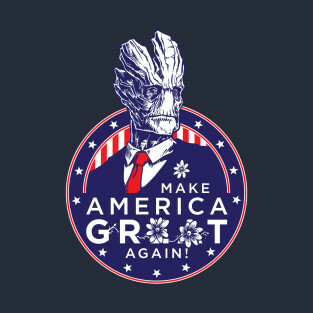 Although this isn’t an election year, I would be greatly surprised not to see various Trump costumes, possibly even the President and First Lady get-ups. In the Disney film category, Beauty and the Beast costumes are being heavily marketed. Even so, I’m inclined to believe that Frozen will continue to beast beat them out. He looks like an angel/Walks like an angel/But now we’re wise /He’s the devil in disguise. While the settings are spectacular and painterly, the costumes deserve a mention in their own right. 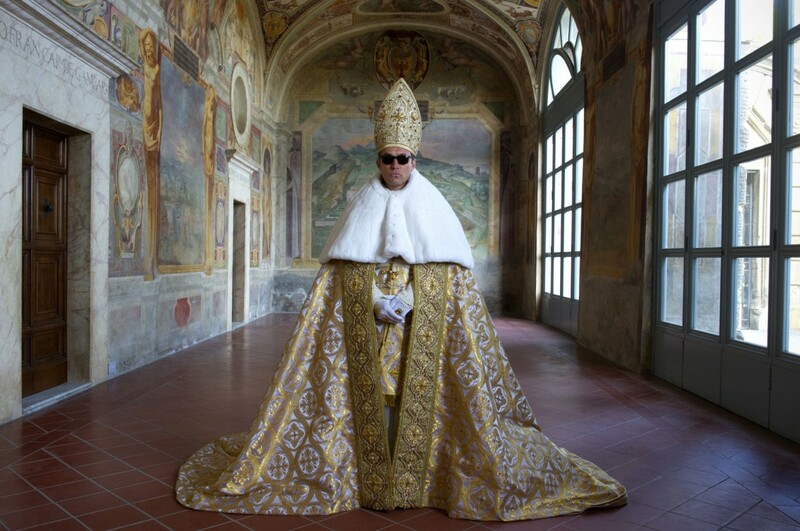 If there’s one photo that sums up the series, it’s this one of Lenny casting some shade (literally) in his papal bling and sunglasses. The whole pose has a certain gangster vibe which suits the character. Here’s Lenny’s more everyday wardrobe–a white cassock with gold trim and a white shepherd’s hat. Next to him is Sister Mary (Diane Keaton), the foster mother who raised him. If you’re not Catholic, you may be wondering “what sort of awesome outfits do nuns have?” The answer is: “you’re looking at it.” Nuns don’t get bling because women, even a fairly high-ranking woman like Sister Mary, have no political power within the church. With great power comes great embroidery. 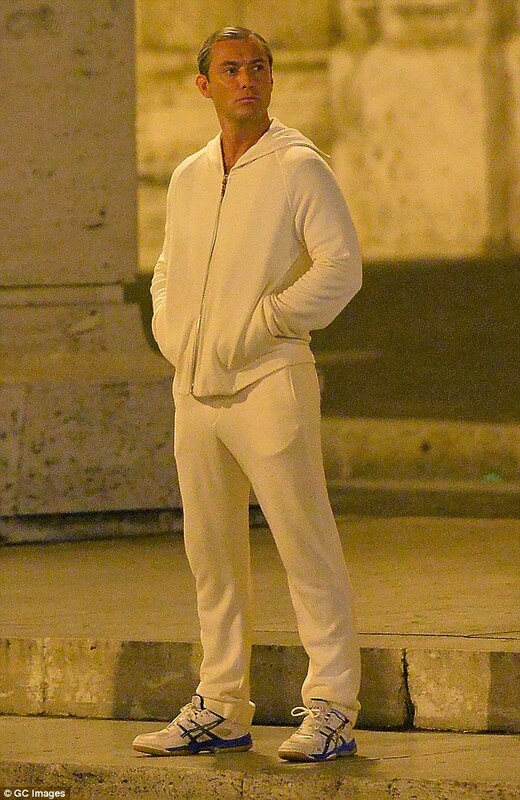 Even when he’s dressed more informally, Lenny wears some version of white–in this case, a cream-colored tracksuit. 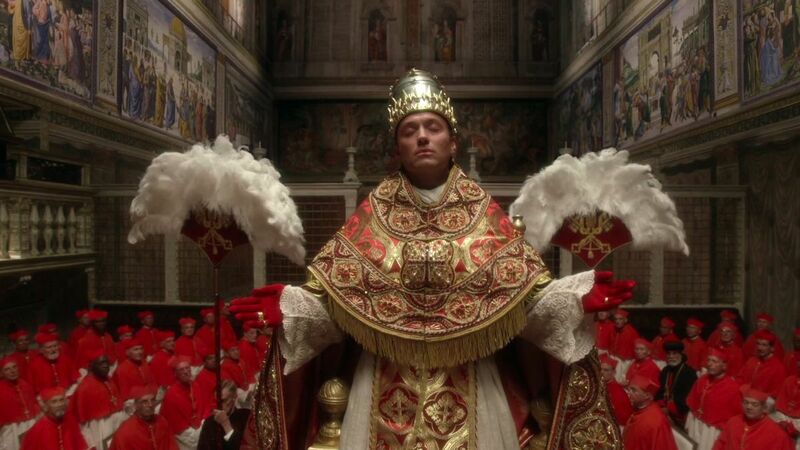 The following sequence shows Lenny getting dressed for his big speech to the College of Cardinals. He starts with a shirt and knee breeches, adds the shoes, and then goes for the cassock layer. Over the cassock goes a second one made of white lace. He then adds the heavy mantle. 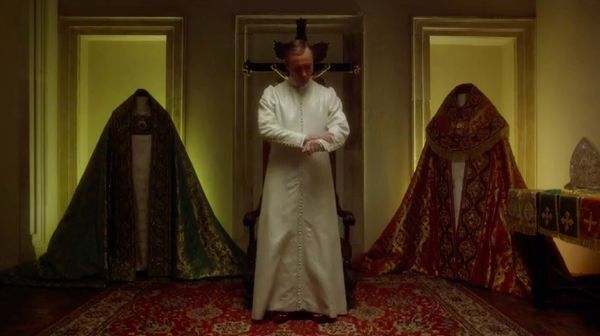 Lenny is a hyper-conservative traditionalist so he favors very medieval-looking vestments. And for the crowning touch, the triple tiara representing the pope’s temporal power. Set aside over 40 years ago by a previous pope, Lenny has it returned to the Vatican for his big address. Finally, here’s the costume (and the actor) in action. Lenny makes a grand entrance into the Sistine Chapel. Yes, Take Back Halloween’s 5th annual costume contest is here and they have two new categories: Best Madam President (dress up as one of the women who’s run for the presidency over the years) and Best Future Take Back Halloween Goddess/Mythological Figure (dress up as a goddess/mythological figure that the TBH folks haven’t done yet). Deadline is November 6th, 2016 and winning entries will be published a week after so get a-costuming, friends! 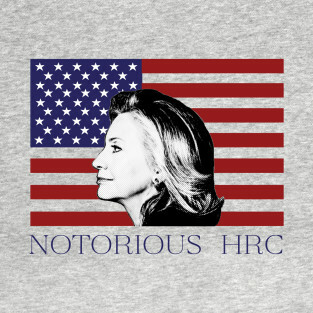 At this point, the best that can be said about the presidential election of 2016 is that high emotions and high unfavorability ratings lead to a lot of T-shirts. Here’s a sampling via the Teepublic site. I did check other sites, but coverage seemed about the same. 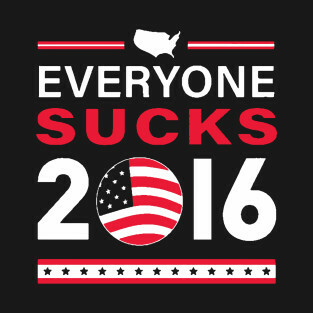 There is general unhappiness about both the Democrat and Republican nominees. 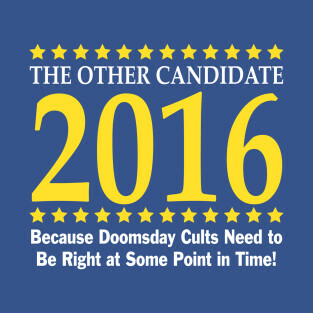 Independent candidates are not making much of a dent in the electoral angst. Sadly, there will be no end to this wild ride until November 8th. 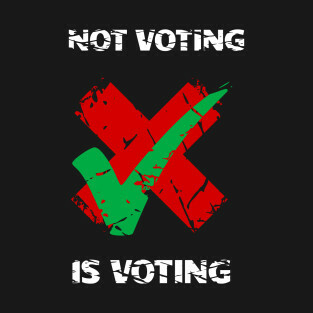 Of course, refusing to vote just means that the pool of people who will shape this country’s future just got a lot narrower. 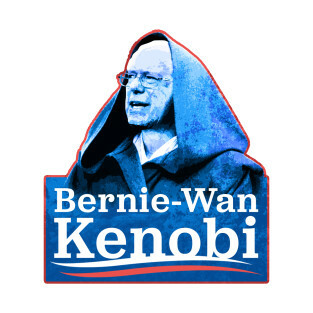 Help us, Bernie-Wan Kenobi! You’re our only hope. 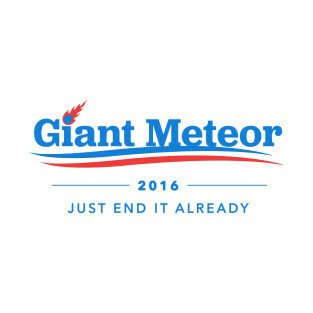 But since a Sanders’ candidacy isn’t going to happen, we’re going to have to explore some alternatives. 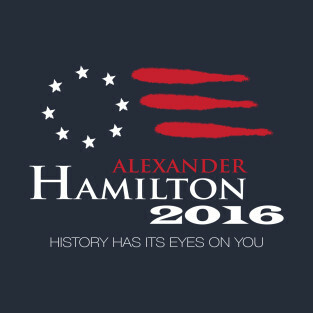 After all, who would know more about the troubles of our evolving republic than two of the original gangsters themselves–Alexander Hamilton and Aaron Burr? Bottom line: our choices are down to two–Hilary Clinton ….. 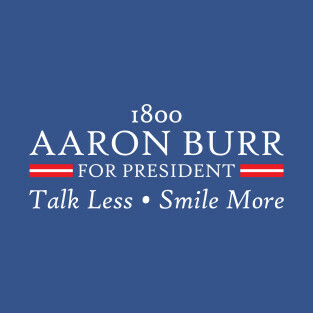 So far the only political idea put forth that the entire electorate can get behind. Hold on to your hats, folks, the finish line is in sight. 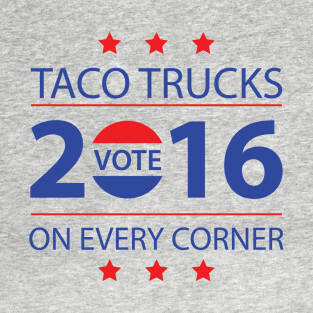 Get out and vote on Election Day! Marlene Dietrich and Susan Calman. Photograph: Phil Fisk/The Observer and Getty. Printed in the Guardian 4/24/16. 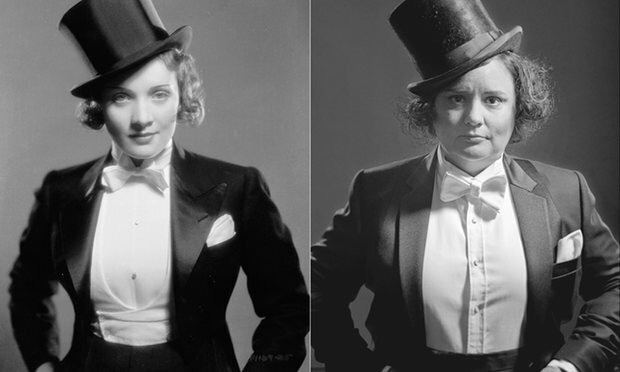 Recovering lawyer-turned-comedian Susan Calman penned this great article in the Guardian on how Marlene Dietrich inspired her to start dressing in menswear. It’s a story about how fashion reflects our inner selves and how we have to embrace who we are in order to find our style. Re: Need a Plus Size Halloween Costume? Here’s some place I bet you didn’t think to look: Torrid on-line. Click here to be taken to the site. Yes, the provider of all things Goth and trendy has aged up a bit and expanded (no pun intended) its line of plus size items. Tops go up to a 5 or 6 (4x and 5x) and pants go up to a 6 (5x). Need Day of the Dead wear? Not a problem. Torrid has an entire line of skull print clothing (leggings, dresses, tops). Just put in “skull” as a search term. Want to dress up like a Disney character? Torrid has a whole line of Disney-themed merchandise. Click on their Pop Culture tab. Want a superhero dress? Check under Torrid’s Halloween and Cosplay sections. Halloween has its own tab and Cosplay is under the Pop Culture tab. Need some retro items that you can wear to work? Torrid has a nice line of dresses with a 1940s/50s feel, but it also has other retro items from time to time. Put in “retro” as a search term. Looking for a bustier or corselet? Torrid has them. For bustiers, look under Intimates. For corsets, use “corset top” as a search term. As a side note, if, like me, you are in constant need of fun leggings for your workout and casual wear, check Torrid’s Clothing tab under Bottoms and then under Leggings. The Activewear tab looks promising, but the sizes only go up to 5 while the leggings go up to 6. Standard disclaimers: I’ve recently started ordering from Torrid, but receive no compensation from the company for recommending their site.